Last night was a triumphant one for Para-Sols as we walked away with not one… not two… but three awards at the Professional Adviser Women in Financial Advice Awards! 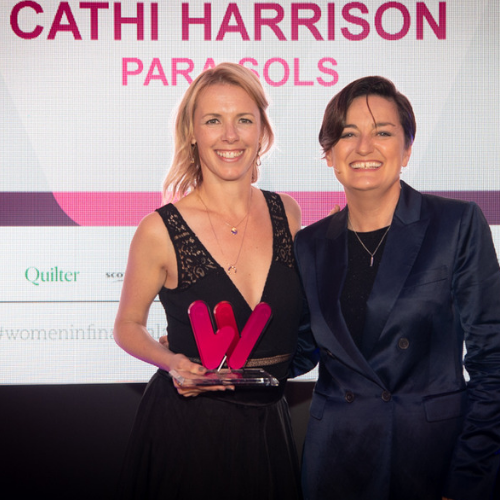 Our Founder and Director, Cathi Harrison, was awarded ‘Most Inspiring Returner’ recognising her determination whilst on, and her return from, maternity leave. Coming up with a new business idea (which we now know as our sister company Apricity) is one thing, but her tenacity was put to the test when she returned and soon set about putting her ideas in to action. Starting a new business at the same time as growing an existing one, with a newborn, is proof she was more than deserving of this award. And yes, she was known to answer the odd email from her hospital bed! Our Director of Quality & Operations, Jo Campbell, may not have scooped the win but was Highly Commended for her success in leading and training the full team of paraplanners. Also an active Paraplanner, the whole company respect her position and she is considered a role model by many, which is a wonderful attribute to have when leading a growing team through change. We are unbelievably proud of our ladies who are well and truly flying the flag for women in finance!